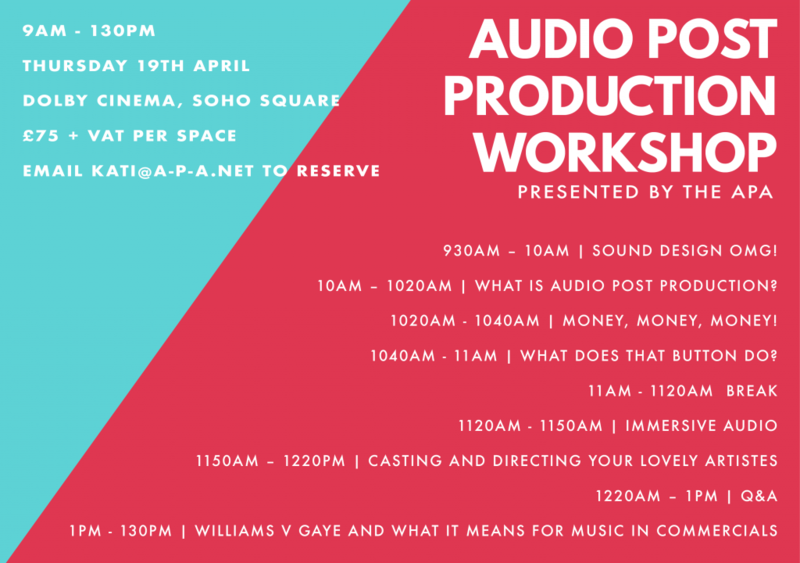 In light of the recent US Court of Appeals judgement on the William v Gaye lawsuit, we have added an additional session to our audio-post workshop. In this session, we will be joined by a panel of music industry experts to discuss how and why this will affect you when commisioning music for commercials in the future. 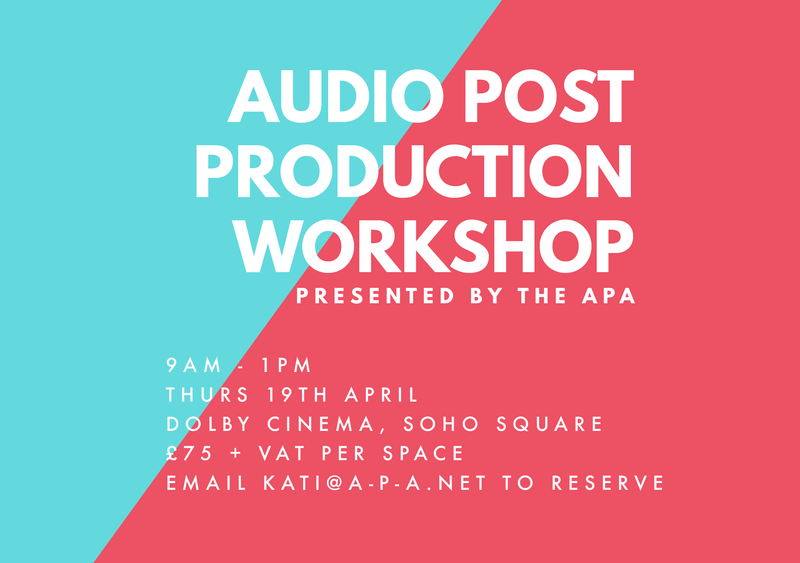 The APA are hosting a half-day workshop on 19th April aimed at Junior Agency Producers and Ast Producers discussing sound design, the craft and how to get the most for your budget. Registration opens at 9AM with a 9.30AM start. Spaces are limited so click the button below to secure a space.